I’m really sorry about not uploading for a few weeks. And if you have been wondering what I’ve been doing or where I’ve been then here’s a little life update for you! I’ve been focusing more on my YouTube channel recently. If you haven’t already seen it then you can check that out by pressing on the blue writing. I try to upload on there every Tuesday. It’s sometimes easier to portray my ideas, fashion or makeup looks over there! But don’t worry im getting back into blogging starting today! Not too motivated and school. Since I post a video a week and try to upload two blogposts, it isn’t easy coming up with ideas. But I will be uploading more often I promise. Over the Easter holidays (next two weeks) I will be doing humanitarian aid in Slovakia. I have scheduled blogposts to be up why I’m away but if I don’t reply to comments for a week or so then please don’t worry, I do care but I won’t have my phone! The second week I’ll be in England so I will probably be able to upload things whilst I’m there! I’m thinking of starting a vlog channel where I’d upload random things and weekly vlogs, a bit more personal to see what I get up to and some interesting chats about my everyday life, so if that’s something you’d be interested in watching then make sure to let me know in the comments down below. I went to see an improv match which was amazing! Really funny. I saw beauty and the beast with my friends and boyfriend. Oh yeah, thats new. I’ve got an amazing new guy in my life! 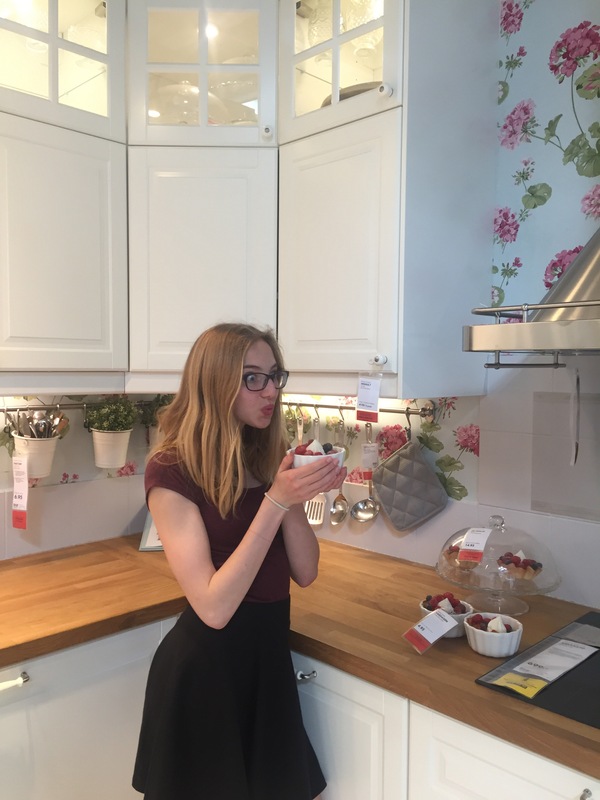 I’m switching up my bedroom, we have taken down a wardrobe and been to Ikea which was so fun! I’m just basically getting my life together, trying to be more organized and chilled really!